Our long years of industry experience assist us in producing a wide range of packaging materials. Available in varied sizes, thicknesses and prints, these can also be customized as per the needs of the customers. We are offering Biocompostable Carry Bag which provide a far superior environmentally sustainable alternative to both plastic (non biodegradable, petroleum derived, pollution causing) also paper food service and food disposable products. Our range of Biocompostable Carry Bag is available at most competitive prices. specializes in the conversion of primary flexible materials such as Polyster, BOPP, and PET/PE laminates into packaging for various industries such as Food & Beverages, FMCG, Pharmaceutical, Industrial and Agro. 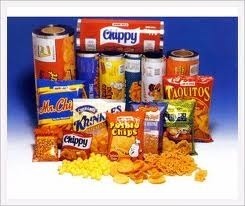 We specialize in custom-manufacturing flexible packaging to suit your specific requirements and volumes. Over looking your product shall not exist anymore with the optimum shelf display by heavy duty bags for Chemical Industry. It out stands from the crowd and catching the attention of the consumer. Heavy duty bags are easy to handle during transportation. We are one of the leading providers of a range of Flexible Packaging Bag extensively used for storing and carrying material. We manufacture a wide array of Heavy Duty Bags & paper bags that come in different sizes and in varied colors. These are used for packaging materials. These are eco-friendly bags. We have established ourselves as a reputed firm, engaged in offering a qualitative range of Flexible Packaging Bags. 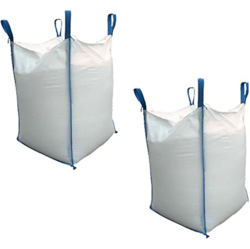 Offered packaging bags are acclaimed in the market for its strength. These packaging bags are manufactured by our skilled workforce using optimum quality material and latest machines .